Nanjing Sunrise Semiconductor Co., Ltd is a corporation specialized in production, sales and research of semiconductor devices. The former of the company is Nanjing Sunrise Electronics Co., Ltd established in 1999, the company is located in Nanjing, a beautiful historic city with profound cultural heritage, solid foundation for semiconductor production which has created the excellent environment at Sunrise for customer-centered service. In the past decade, the company has endeavored to introduce and adopt modern internationally advanced production equipment, improve various testing devices, with emphasis on new technology and scientific management systems in its operations. 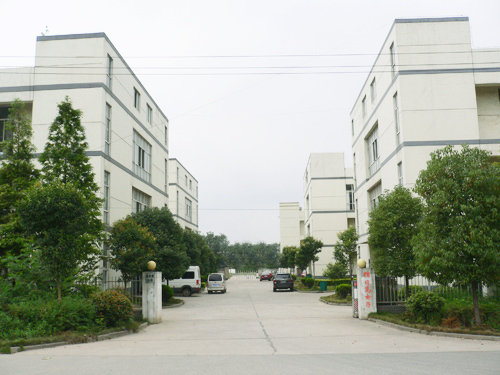 The company has faithfully followed standards by ISO9001-2000 Quality Control System and International ROHS Safety Certification to ensure the superior quality and reliability of products. Currently, the company developed extensive lines of diode products of various specifications. The product lines include General Purpose Rectifier (STD series), Fast Recovery Rectifiers(FR series), High-efficiency Rectifiers(HER.UF series), Ultra-fast Recovery Rectifiers(SF series), Schottky Barrier Rectifiers(SKY series), Bi-directional Biacs(DB3 DB6), Transient Voltage Suppressors(TVS series), High Reverse Voltage (H,V), Stable Voltage(ZENER series), Bridge Rectifiers(BRIDGE series) as well as many types of outline drawing diodes comprised of SMA ,SMB, SMC, SOD-123, SOD-323, SOT-23. Facing the challenging and competitive market, the company adheres to its motto of “Superior quality, high standard and high efficiency”. The company is reputable in the market for its complete product lines, short production cycle and excellent product quality. Over the years, the company has established mutually beneficial business relationships with numerous domestic and international clients.